This Motorized Flat Panel TV Lift by Hafele has a hole and slot pattern that accommodates a wide variety of TV mounting brackets. The TV lift features auto-reverse, which changes the direction of movement when the reversal deck encounters an obstruction as the lift lowers. This TV lift comes with a remote control and screws. 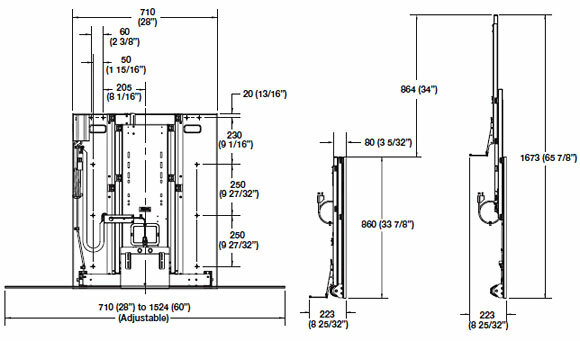 The maximum TV dimensions for this lift are 50� diagonal by 33-1/2� high and the minimum inside cabinet dimensions are 28� width, 10� depth, 34� height (overlay), 34-3/4� height (inset). Ships via UPS/FedEx ground.